2016 was the year where fintech finally flourished in Asia. Though fintech entrepreneurs and start-ups have been setting up their operations long before 2016, this was the year when everyone from big banks, large corporations to governments have woken up to the revolution of fintech in Asia. 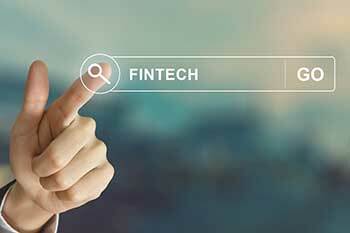 The following factors highlight how Asia is now the go-to destination for everything fintech. Opportunities, growth and competition: The Economy of Asia comprises more than 4.4 billion people forming 60% of the world population. Asia is the fastest growing economic region and the largest continental economy by GDP PPP in the world. China and India are currently the first and third largest economies in the world by GDP, respectively. This makes Asia the biggest growth area for Fintech both as an investment opportunity and as a work opportunity. Asia surpassed the US and Europe on fintech investment in Q3 2016. According to KPMG and CB Insights’ The Pulse of Fintech report for Q3 2016, Asia ended up surpassing the US and Europe on that front, with investment in the year’s third quarter reaching US$1.2 billion versus US$900 million in the US and US$200 million in Europe. Though Japan, Singapore and Hong Kong have been way ahead in the race, India and China are emerging markets potential, especially with the hinterlands where the reach of fintech and digitization is very low. The race to digitization and fintech development in Asia has led to governments spending and prioritizing on these areas. There is also a healthy competition within the continent where Singapore and Japan are competing to become the eastern fintech hub as a rival to London in the west. This year also saw growth of opportunities for companies and countries trying to digitize banking services in Southeast Asia. Several fintech businesses in Southeast Asia raised funding this year both to jump on the train of e-commerce growth and to serve non-banking populations, particularly Tier III and rural areas. Some of the examples are Thailand’s Omise, Singapore’s Coda Payments and 2C2P, Vietnam’s OnOnPay, India’s PayTM and more. Mobile and Internet penetration: There is a spike in mobile and internet penetration in Asia, a growth that has been steady since the last decade. Coupled with a higher potential to grow than ever before, Fintechs are suddenly looking to expand their reach and companies are looking to expand their market in the coming 5 years. The internet penetration of countries like Japan and South Korea have surpassed 90% and many countries are inching towards that number with a hike in internet penetration YoY. Work Culture: Asia, with its large populations and superior technical education, is a breeding ground for great technological talent, and resources that are cost effective! Moreover, Creativity and out-of-the-box thinking has become a requirement in the industry, with an amalgamation of various people coming together from different areas of expertise. Support systems of infrastructure, access to networks, legal services, infrastructure, digital infrastructure and syndicated service platforms are becoming increasingly available, moreover, under one roof. The author, Tejasvi Mohanram is Founder and CEO, RupeePower.